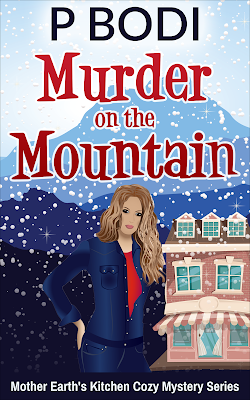 Just received a sample cover for my new release, Murder On The Mountain from my publisher. Let me know what you think. Looks like the book will publish on 9/2/16 if all goes well. Just sent my manuscript for Murder on the Mountain to my publisher. 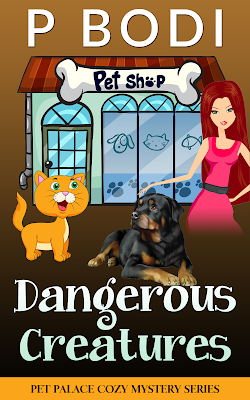 This will be the second book in my new Series Mother Earth's Kitchen Cozy Mystery Series. Will keep you posted on the new release date. 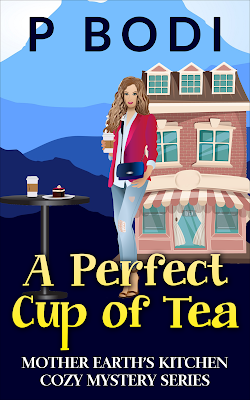 My Newest Release A Perfect Cup of Tea is Now Live on Amazon! My newest book, A Perfect Cup of Tea in the new series Mother Earth Kitchen Cozy Mystery Series is now live on Amazon! Just got a slightly modified cover back for my newest book A Perfect Cup of Tea. It should be ready for purchase on Amazon on 8/26/16. New Release A Perfect Cup of Tea Coming Soon! This has been a busy week! I started my new manuscript for Mother Earth's Kitchen Series and should have it ready to go to my publisher sometime in the next few days. 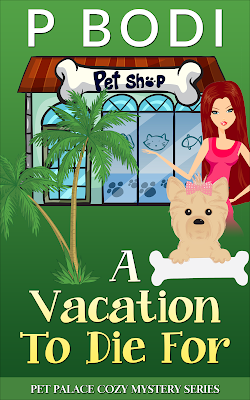 I've had several of you ask if I am going to continue the Pet Palace Cozy Mystery Series. The answer is Yes :) It could be a few weeks before I can get the next one out, but I'll keep you posted. Don't worry, Leah and Baby will continue to solve those pesky murders that keep happening. A Vacation To Die For is Now Live on Amazon! I should have send my latest work out a couple of days ago when I finished it, but had a few things to wrap up first. My publisher said they would try to get it edited and out by 8/12/16. Will post a cover reveal once I get it back. Just got a copy of my new cover for my book Dangerous Creatures. My publisher says it should be available on Amazon on 8/5/16.